Group Captain P A Naidu has 30+ years of experience in India’s largest aviation organisation and Public Service Broadcaster in senior positions largely in management and policy intervention. He has domain knowledge in Aviation, Defence and Aerospace, Media and Broadcasting, contract management, litigation management, Av Sec and Av safety. He served as Additional Director General in Doordarshan and All India Radio under Prasar Bharati heading Corporate HR, Administration, PR, SM Operations, litigation management and Security, and international Relations. 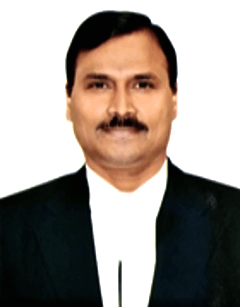 He has joined Aakash Law. Experienced in agriculture field to airfields, aviation operations to media operations, field offices to board level functioning, served in leadership positions across locations; varied experience in managing operations of airport (Military and Civil both Domestic and International), media operations, Aircraft accident investigations, Aviation safety, airport infrastructure, air traffic management, aviation laws, Aviation security, ARFF, skill grade mapping, aviation ratings, vigilance and fraud investigations and quality audits. HRM, talent retention, gender equality issues, litigation management, training, academic administration.